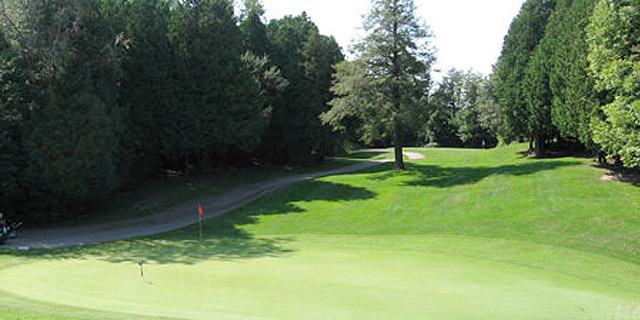 Newcastle Golf and Country Club is an 18-hole, semi-private golf club located in Newcastle, Ontario. Our mature and scenic property presents a haven for those looking to escape the daily grind with a game of golf, or simply a return to nature. Only minutes from downtown Toronto, Newcastle Golf and Country Club will provide the escape that you need. Newcastle Golf and Country Club is well suited to experienced players and those playing the game for the first time. The 6304 yard, par 70 layout features smooth bentgrass greens, tree-lined fairways and more than 100 feet of elevation change. Three sets of tees and a variety of holes present a unique challenge every time. Our newly renovated and landscaped clubhouse is the ideal setting for a great meal or a refreshing beverage after your round.